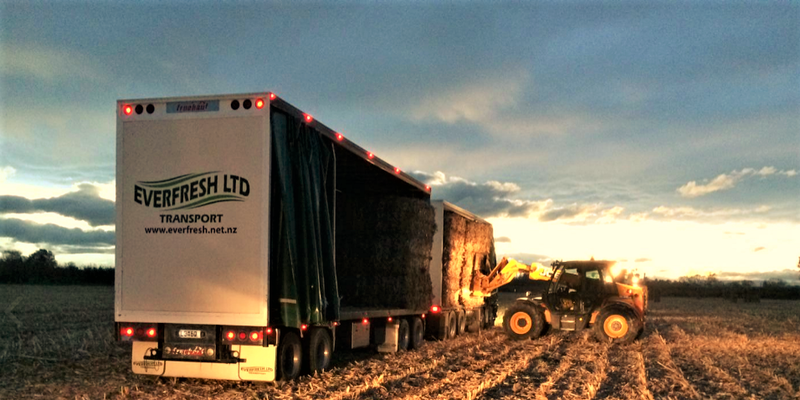 Learn how MyTrucking got Everfresh Ltd back on track and focused on doing what they do best. A produce, bulk and container transport business based in the horticultural heart of New Zealand, the sunny Hawke’s Bay. They are specialists in the transportation of grains, feed, fresh produce and are the transporter of choice for the Hawke’s Bays largest agricultural grower/marketer of premium produce, Bostock NZ Ltd. Experts in transporting fresh produce, providing a full-service solution of inspection, fumigation, transloading and warehousing. Established in 2000, they started out as a general carrier but have steadily grown over the years adding more services to their ever-increasing transport fleet. “We were struggling with transparency across the team, jobs were in people’s heads and not always written down, quoted prices weren’t always recorded. As a result of this our end of month issues just got bigger and bigger” explains dispatcher Bevan. We knew we had to change, carrying on as we were, was not an option. After meeting Sara and Sam and then trialling MyTrucking for a few days we knew we had found the system that was going to let us grow. MyTrucking’s is so easy and simple to use, for us it’s really cost effective and the support is great. It was so simple it is ridiculous. Everything about MyTrucking is so simple and so familiar, the process and workflow was so similar to how we work before MyTrucking that we did not have to adapt. Dispatching and billing, anyone in the team can see exactly what is going on, managing customers and drivers is much better. At the end of the month, it’s really clear what’s been invoiced and more importantly what hasn’t. Most of the hard work is already done, it’s just a matter of checking a few things then posting the lot through to Xero in one go. It has, since switching to MyTrucking we are more focused on what we are doing, and it has made us challenge other processes in our business.